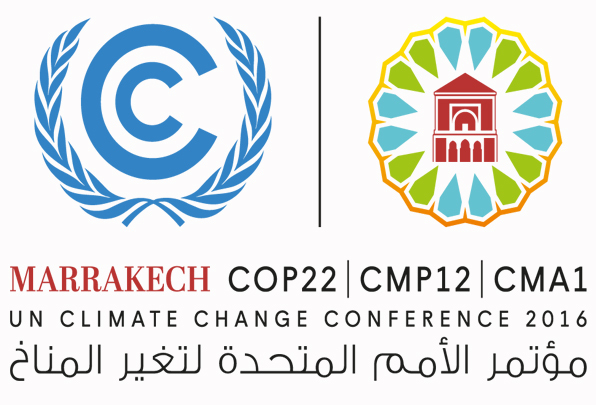 The 22nd session of the Conference of the Parties to the United Nations Framework Convention on Climate Change (COP22) took place in Marrakech (Morocco) on 7-18 November 2016. In the ‘Marrakech Action Proclamation for our Climate and Sustainable Development’, Heads of State, Governments and Delegations pledged to press ahead with the full implementation of Paris Agreement. The Paris Agreement adopted by some 196 countries at COP21 is a landmark agreement aiming at strengthening the global response to the threat of climate change by keeping the global temperature rise this century well below 2 degrees Celsius, above pre-industrial levels and to pursue efforts to limit it to 1.5 degrees Celsius. COP22 talks were a crucial step towards accelerating and amplifying the immediate response to the challenge recognized in the Paris Agreement, while clearly demonstrating that the constructive spirit of multilateral cooperation on climate change continues. Towards a Sustainable Mediterranean Economy: A review of the sustainability of Mediterranean countries and proposals to promote a green and blue economy which delivers on the Paris Agreement (15 November 2016). The event was co-organized by MIO-ECSDE’s members Eco-union and Global Footprint Network, Plan Blue and MIO-ECSDE and it focused on sustainability strategies in the Mediterranean. Panelists presented insights on the Mediterranean region’s use of natural capital, reviewed the current sustainable development strategies and proposed indicators to monitor critical economic sectors such as tourism, fisheries, and offshore energy. The Mediterranean Strategy on Education for Sustainable Development (MSESD): how to educate youth and local communities to effectively address climate change (14 November, 2016). The event was organized jointly by MIO-ECSDE, MEdIES, CMED, RAED and CERGEO and brought together some 100 participants. The event aimed at showing how Education for Sustainable Development could contribute to the implementation of the Paris Agreement and the outcomes of Marrakech COP22; sharing experiences on youth and community education on climate change that could be useful inputs to the relevant activities proposed by the MSESD Action Plan; ensuring that the MSESD Action Plan properly reflects the developments and needed components for effective adaptation and mitigation to climate change (Find more info here). The SWIM and Horizon 2020 Support Mechanism Project: A Mediterranean contribution to the Climate Change Conference COP22 99 November 2016). The event was organized by the SWIM-H2020 SM project, where MIO-ECSDE and RAED are a key partners. A clear signal that resonated at the event was how in a difficult time for the Mediterranean SWIM-H2020 SM provides an open and inclusive platform for concrete action and enhanced synergies to address climate change throughout the region (Find more info here).